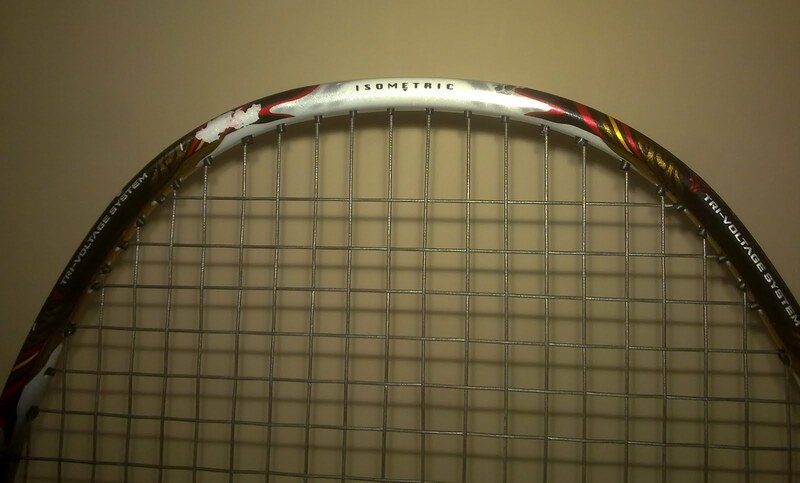 Yonex Voltric 80 is my favourite racket. It is a 4U. Currently I am having grey Nanogy 95 (shown in photograph) guts on it at 26 Lbs. 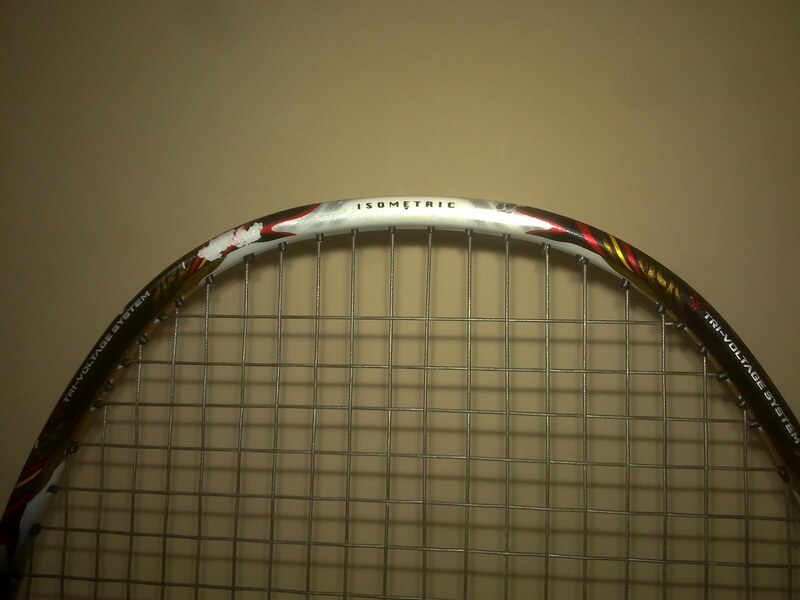 This racket is very good for smashes. Durability of this guts is good. Initially I had white BG 66 Ultimax gut at 28lbs on this racket, which did not last for more than 2 weeks. 28lbs was not comfortable for me since the retention was less. Had couple of hard clashes while playing doubles and nothing happenned to the racket. Paint coating had gone off in couple of places because of the clash. Once the currenty Nanogy 95 breaks, I will change the guts to BG 66 Ultimax at 25 lbs to get some more retention power.